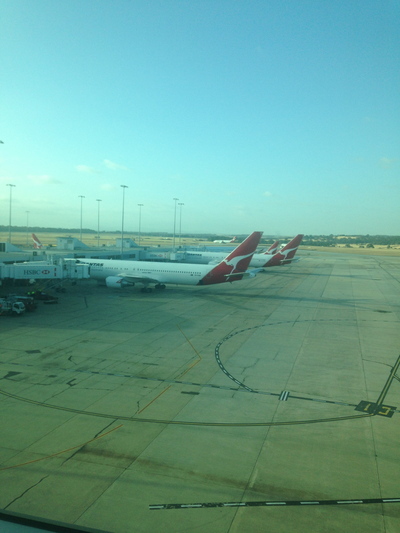 There are two different lounges available for those who choose to fly Qantas domestically in Australia from Melbourne's Tullamarine Airport. 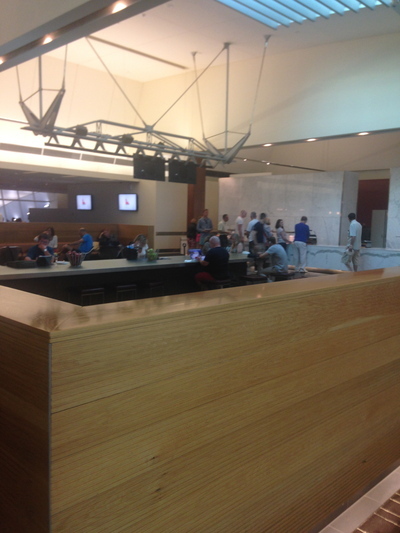 The Qantas Club Lounge is reserved for Qantas Club members, and for Gold Frequent Flyers who happen to be flying Economy Class to their chosen Australian destination. 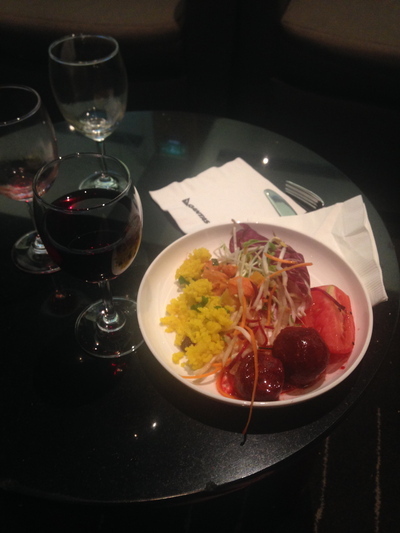 After spending an entire day catching up with friends in Melbourne, I enjoyed the last hour and a half of my time in The Qantas Club lounge before flying back home to Sydney. When you arrive at 7:30pm on a Sunday evening, the lounge starts to quiet down. The only noises apparent are coming from the staff members clearing plates and glasses from tables, and from the TV's that are switched on. The reception is welcoming. Qantas staff are now wearing new uniforms designed by Martin Grant. They look rather smart. The carpet blends in beautifully with the lounges and tables. As you enter, there are some reading materials and a coffee machine available to make your own brew. The restrooms are clean and well maintained. There are also decent workspaces to use your laptop computer, or otherwise there are Mac computers available to use. The food offerings are quite popular. On this occasion, the lettuce could have been washed, however this was not an issue. 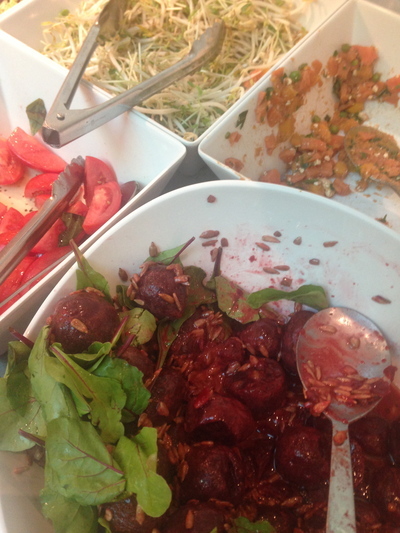 Loved the fresh beetroots and tomatoes with some couscous and coleslaw. This was a great starter. After enjoying some salad, you normally go for a hot dish for mains. I only wanted a couple of bites of pasta. The pasta did not disappoint either. Some people used the toaster to prepare some ham, cheese and tomato sandwiches as well. There was no dessert available. 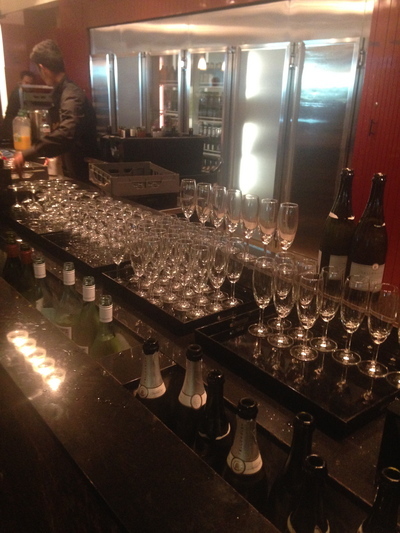 The bar service is fantastic. If you're after a glass of wine, you can simply help yourself. 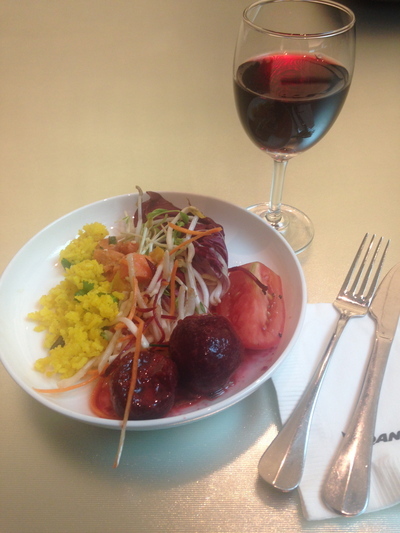 The Pinot Noir complimented the salad beautifully. It was great to just sit and unwind after a long day of catching up with people. 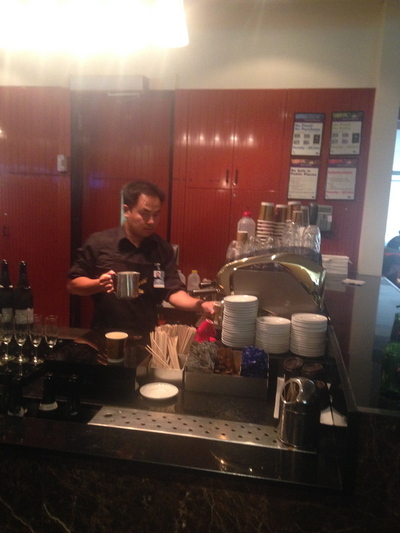 It is great to discover that the barista service is now available at night time. This service used to be only available earlier in the day. The chai latte was warm and comforting. 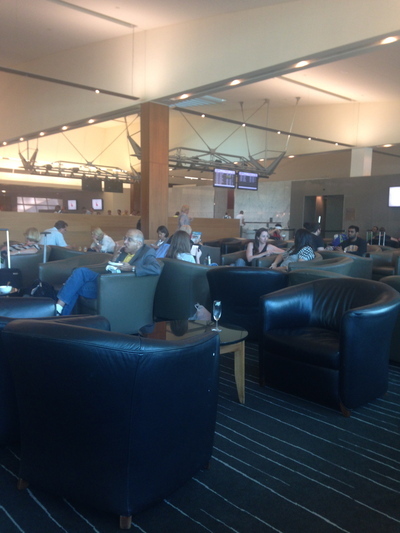 Before you know it, 90 minutes literally flies when spending some time at The Qantas Club at the Qantas Domestic terminal at Melbourne Airport. There is also a small kids play area, although it's barely noticeable. Quite a relaxing way to travel. 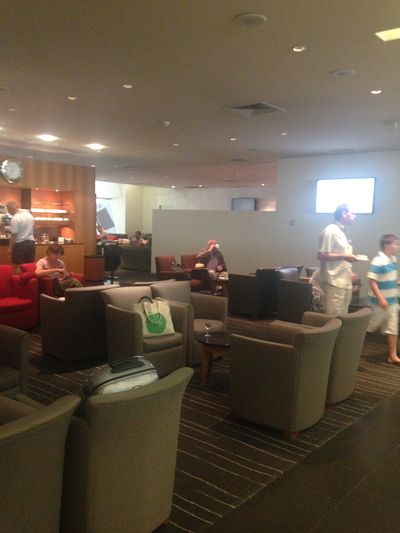 You don't necessarily need lounge access for a short one-hour flight, however, if you've been running around all day; spending time in an airline lounge is bliss. I arrived back in Sydney content. When: Available from 5am daily to the last Qantas departure time. Cost: Free to eligible travellers. Other travellers pay $70 to enter.